Some Christmas flavours are totally classic. Gingerbread and royal icing. Chocolate and mint. And, my favourite orange and cranberry. 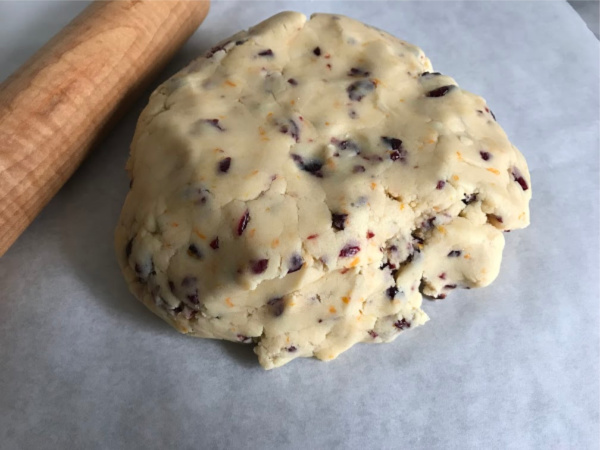 I’ve been baking with orange and cranberry for as long as I can remember. In fact, I’ve been baking orange cranberry loaves for over 20 years! Yowza. 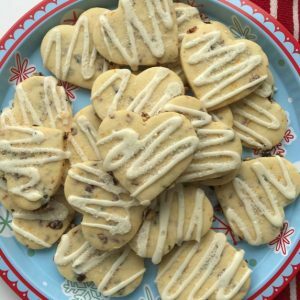 This year I thought I would combine my favourite flavours with my daughter’s favourite cookie – shortbread. I was a little afraid that a delicate shortbread wouldn’t be able to stand up to addition of the cranberries, but they totally worked. These cookies are sweet, buttery and tart. 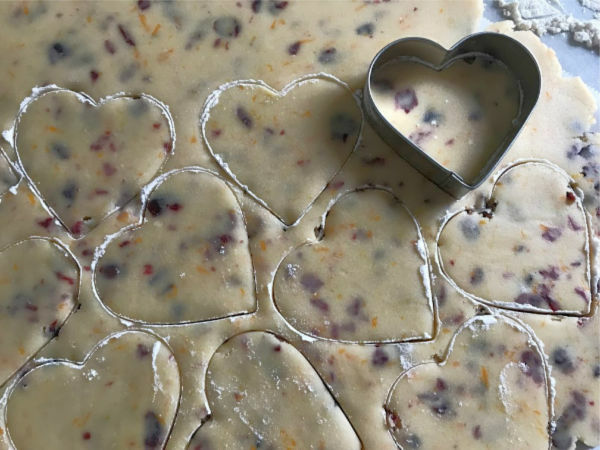 Everything you love about shortbread, cranberries and orange. 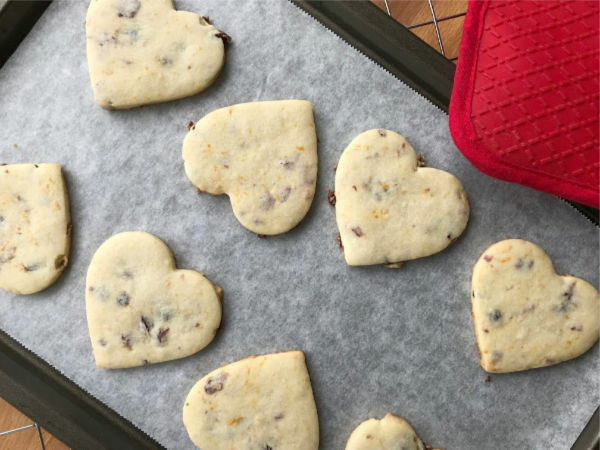 A batch of these orange cranberry shortbread cookies would make a delightful teacher gift or the perfect treat served alongside a cup of hot tea after a long day of ice skating. Begin by creaming together the butter and sugar, until fluffy. Then stir in the egg and vanilla. In a separate bowl, whisk together flour, corn starch and salt. Gradually add the dry ingredients to the wet ingredients…add 1 cup at a time. Until the dough comes together and pulls away from the sides of the mixing bowl. I love it when a dough comes together like this. Finally, stir in the chopped cranberries and the orange zest. Roll out the dough, between two sheets of parchment paper or waxed paper. You want the dough to be 1/4 inch thick. 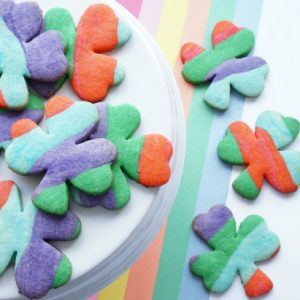 When the dough is rolled out, use a cookie cutter to cut out your cookies. We used a 2 1/2 inch heart. 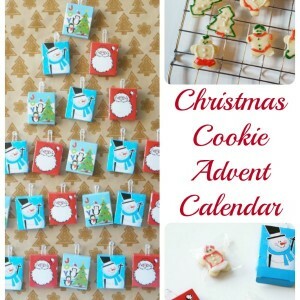 Place the cookies on a parchment paper lined baking sheet. Bake in a 375°F oven for 10-13 minutes. The time will depend on the size of your cookies. They are done when the edges are slightly golden. Remove from the oven and transfer to a rack to cool completely. As the cookies cool, it’s time to make the glaze. Stir together the icing sugar and orange juice. Simply use the orange that you zested for the cookies. You want the glaze to be thick enough that it won’t run right off the cookies. Use a fork to drizzle the glaze over the cookies. We used a piping bag with a narrow piping tip. While the glaze was still wet, sprinkle the glaze with decorative sugar. This makes the cookies extra festive. 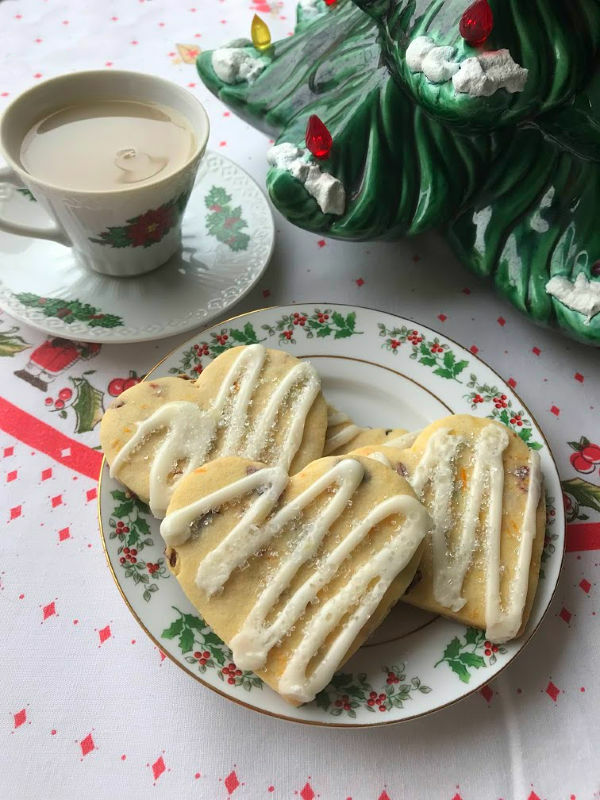 Bake a batch of these easy, buttery, melt in your mouth cranberry orange shortbread cookies with a tart orange glaze. 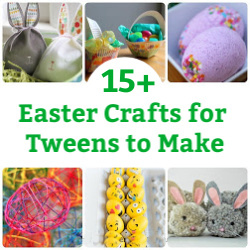 Begin by creaming together the butter and sugar, until fluffy with an electric mixer. Then stir in the egg and vanilla. 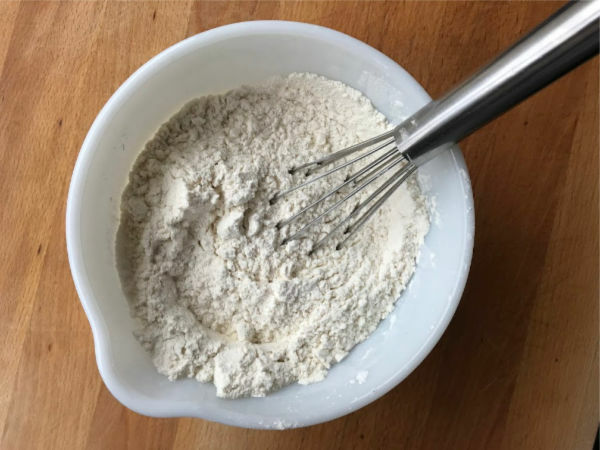 In a medium bowl, whisk together flour, corn starch and salt. Add dry ingredients to the wet ingredients in 1 cup batches. Mix until dough pulls away from the sides of the bowl. 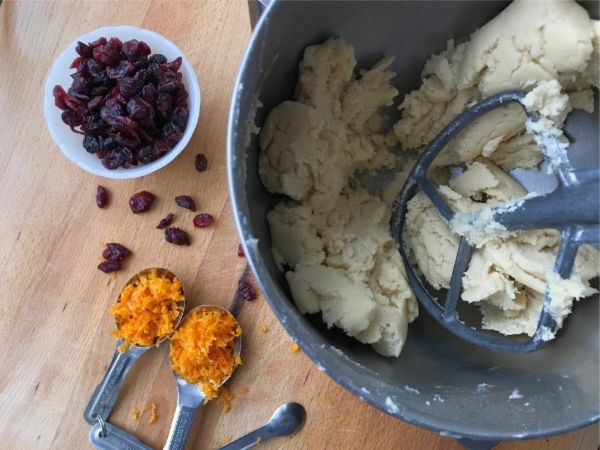 Once the dough comes together, stir in the cranberries and orange zest. 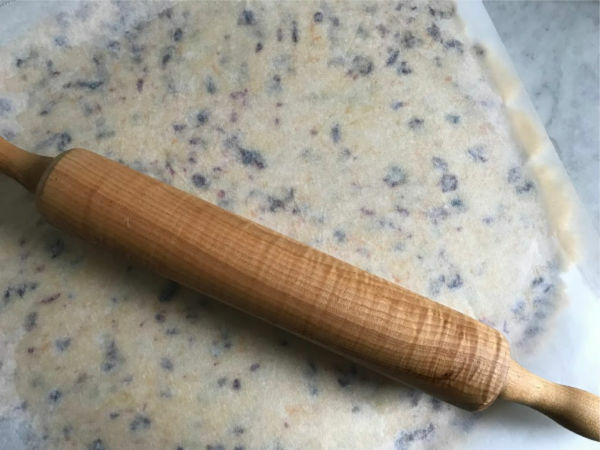 Roll out dough between two sheets of parchment paper or waxed paper. You want 1/4 inch thickness. 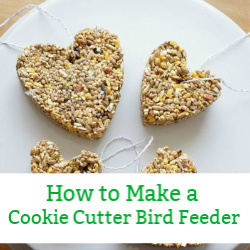 Use a cookie cutter to cut out the cookies. Place on parchment paper lined baking sheet. We used a 2 1/2 inch heart. Bake in 375°F oven for 10-13 minutes - until the edges are golden brown. Set aside to cool on a rack. Mix together the glaze. 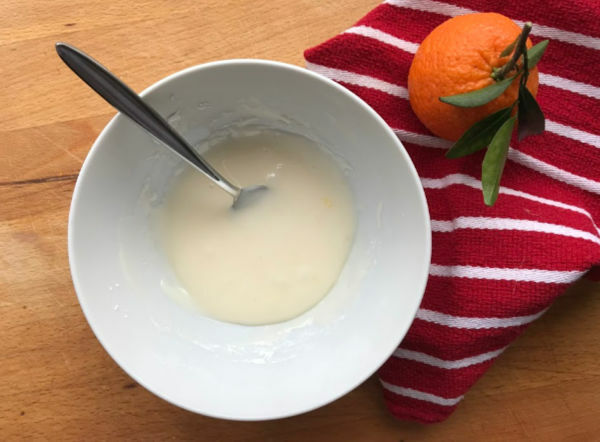 Stir together the icing sugar and orange juice. You want the glaze to be thick enough to not simply run right off the cookie. When the cookies have cooled, use a fork or piping bag to drizzle glaze over the cookies. Sprinkle wet glaze with a decorative sugar. 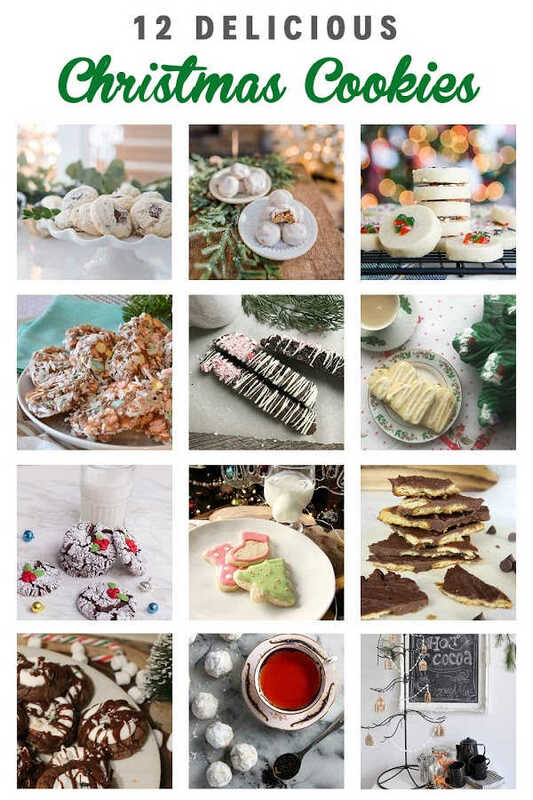 Today’s recipe is part of the delicious Christmas Cookie Blog Hop being hosted by Jo-Anna from A Pretty Life in the Suburbs. 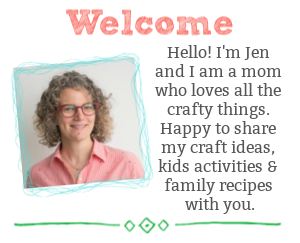 These looks so good Jen! Nothing more classic than shortbread, and the cranberry orange flavour is the perfect holiday addition! So yummy. 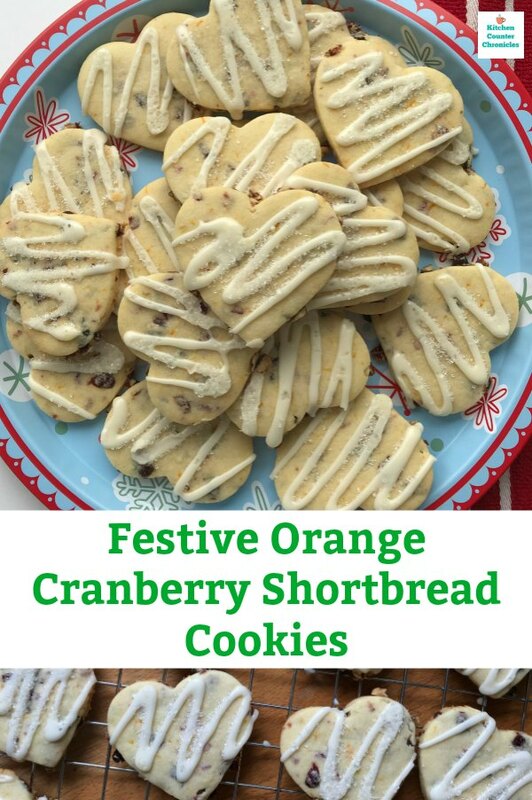 I love shortbread and the addition of cranberry and orange. so Christmassy!